Maine Halibut Fisherman Getting Steamed, Again! The Feds have decided the Maine halibut is over-fished. Consequently, DMR has little recourse but to impose new fishing restrictions, i.e. there will be new minimum size limits and new catch limits. We're looking at a minimum size of 41" and a catch limit of 30 fish per fisherman. Recreational fisherman are limited to one fish per day. 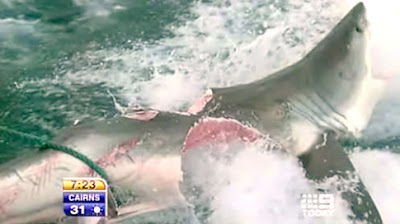 To say this has pissed off a few fisherman is an understatement of gargantuan proportions. Fishermen feel as if they're being pushed out of the resource altogether. Look, I'm all for conservation of resource, and I'm a firm believer that commercial fishing is a privilege and not a right. And I'm also convinced that commercial fishing has done as much harm, if not more, to the resource than coastal development and pollution. But -- and it's a big but -- the feds and the state have contributed greatly to the problem of ecological collapse. First, they operate in a knee-jerk capacity. Instead of being pro-active they're reactive, and all final decisions are highly political. Regulations are determined based on questionable science and compromise solutions. In the halibut debate, fishermen claim there are plenty of fish. Well, guess what? They always say that. Let's face it. Fishermen lie. They lie to the feds. They lie to each other. They lie to themselves. Maybe they don't even think they're lying. Sure, there are plenty of fish, based on what? Based on how many they caught in previous years? How many years? One? Ten? It doesn't take a genius to see what has happened to the Gulf of Maine over the last twenty years alone. And fishermen should see it and know it before anyone else. But the state and the feds are equally out there in fantasy land. They say they're being pro-active by making sure all the 950-plus people who have licenses don't got out next winter and decimate the fishery. Well, if they're worried about that, why don't they just freeze licenses? Why don't they turn all fishing licenses into ITQs (Individual Transferable Quotas)? 1. Most of the halibut endorsements on the books belong to lobstermen and others who will never fish for halibut. They got their endorsement because they figured if they didn't get one the state would take away their privilege. Who could blame them? The state has taken away scallop permits and urchin permits from fishermen who have let their permits expire. I can attest to this because I'm one of the ones who lost both his urchin and scallop permits. 2. Fishermen who hold Federal Fishing Permits for groundfish are limited to one halibut per day and can't fish the same way fishermen with state licenses can fish. My 2,500 hook groundfish permit went to 400 pounds per day, then to 75 pounds per day. My current federal permit for groundfish is for 75 pounds a day, but this permit is for all groundfish, including halibut. What happens if I catch a 150 pound halibut? I'll tell you what happens. I have to throw it back dead. How ridiculous is that? 3. There are plenty of fishermen who catch and sell halibut without a license, permit or any regard to the law, and there are not enough marine patrol officers or other law enforcement personnel to monitor these and/or any other infractions or violations of fishery laws. I understand why fisherman are pissed and I sympathize. They seem to get nothing in return for their sacrifice except more and more regulations and laws and more and more costs. The state is now looking at raising the price of lobster tags. What??!! They've done nothing to help the lobstermen deal with the rising costs of fuel and bait or the drop in price of lobsters, and all they've done is used revenues to create more restrictions and bureacracy. It's almost conspiritorial the way the feds and industry work together to create gear, equipment, and electronics that fishermen have to buy in order to keep fishing. So what should we do? I think it's simple. Freeze licenses and turn everything on the books to ITQs based on catch records. Give fishermen a chance to have something of value on the back end. Give them something to work toward. A business they can sell. Forget these stupid size and catch limit regulations. Forget the days-at-sea limit crap. None of these are working. They're barely enforceable, starving-out fishermen, and they're based on questionable science. Instead, create no-fishing conservation zones. Fish need a refuge, a place where they can rebound without interference from fishermen AND regulators. Oysters: To Slurp or not to Slurp. OK, here we go again. The government insists on sticking its big nose into something else. This time it's Gulf Oysters. About 15 people die of food poisoning every year in the U.S. from oysters contaminated with a toxic bacteria known as vibrio vulnificus. This bacteria grows during the warm months between April and October. Typically the bacteria is dangerous to people with compromised health issues. Full story here. Here's the thing. People who live and eat seafood on a regular basis, particularly people who eat raw fish on a regular basis, will not have a problem with most fish toxins. But people who come from the mid-west who never eat shellfish can find themselves in a world of hurt eating just one oyster, clam or scallop. If you have spent your life living a comfortable and relatively protected life in New York City, and then one day you decide to go to Africa on a safari, and let's say one night you're out in the bush taking a leak in your bare feet and you step on a contaminated thorn. Guess what? You can get an infection and die. Your guide, or any other person who grew up stepping on thorns in the same area, probably wouldn't even notice the scratch. I'm all for government oversight, but let's not take these things too the extreme. If you've never eaten raw oysters or raw fish, or if you suffer from an immune disorder, or have kidney or liver problems, you should know well enough NOT to risk your life on exotic foods. It's nice to know the big ones are still out there. Full story here. We get great whites here but they're usually small. On the other hand, we've had some big Mako sharks here. I have seen two small great whites here in the Gulf of Maine. Great photos and story here. 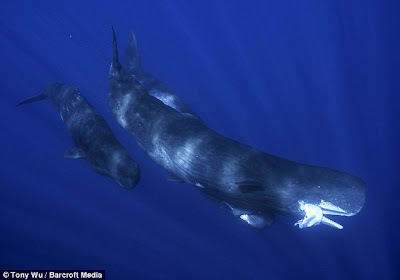 Last two sperm whales I saw were both dead. One had washed ashore and the other was bloated and floating about 50 miles out to sea. What's Going On At The National Weather Service? I'm no weather expert, but I've noticed lately the weather experts are not weather experts, either. Sure, I hear you saying: "What else is new?" But hear me out. Until recently, I actually thought the guys at NWS did a pretty good job. Maybe they have somebody new, a complete guppy, on the Coastal Maine desk. That's probably it. The problem is at NWS in Gray, Maine. Here's an example: A couple of weeks ago, I heard on the weather radio there was going to be an easterly gale. I went on-line, dialed up the Matinicus Rock Light NDBC page, and brought up the Latest NWS Forecast 2. The Penobscot Bay forecast called for northely winds to 15 knots, while the Stonington to Port Clyde out to 25 nautical miles forecast called for east winds 15 to 25 knots with gusts to 40 knots. This was for a low tracking through the center of the state toward the Gulf of St. Lawrence. Like I said, I'm no expert, but that's impossible. It can't be both, and it's unlikely to be easterly or northerly with a low tracking inland, basically up Rt. 95. In fact, that night it turned out to be southeast and backing. So, what do we have today? Almost a repeat performance in accuracy, except this time it's a low tracking south and east of us. Great. I moved my boat because one hour earlier NWS was calling for easterly winds to 40 knots. Now, as you can see, it's northeast to only 25 knots. Meanwhile, when is somebody going to inform NWS in Gray, Maine that Stonington to Port Clyde out to 25 nautical miles ***IS*** Penobscot Bay. TO 5 FT AFTER MIDNIGHT. IN THE AFTERNOON WITH VSBY 1 TO 3 NM. 7 FT. A CHANCE OF SHOWERS IN THE EVENING. NE WINDS 10 TO 15 KT WITH GUSTS UP TO 20 KT. SEAS 4 TO 6 FT.
NE WINDS 15 TO 20 KT WITH GUSTS UP TO 25 KT. SEAS 3 TO 5 FT.
7 FT...SUBSIDING TO 3 TO 5 FT. RAIN LIKELY. W WINDS 10 TO 15 KT. SEAS 2 TO 3 FT...SUBSIDING TO 1 TO 2 FT. AFTERNOON. SEAS 6 TO 9 FT. A CHANCE OF RAIN. 9 FT. A CHANCE OF RAIN AND SNOW SHOWERS IN THE EVENING. NE WINDS 15 TO 20 KT WITH GUSTS UP TO 25 KT. SEAS 5 TO 8 FT. MIDNIGHT. SEAS 4 TO 7 FT. A CHANCE OF RAIN AFTER MIDNIGHT. NE WINDS 20 TO 25 KT WITH GUSTS UP TO 30 KT. SEAS 5 TO 8 FT. MIDNIGHT. SEAS 6 TO 9 FT. RAIN LIKELY. 9 FT...SUBSIDING TO 3 TO 5 FT. RAIN LIKELY. 4 FT...SUBSIDING TO 1 TO 2 FT AFTER MIDNIGHT. IRVINE, Calif. USA – October 5, 2009 – A recently published administration document outlines a structure that could result in closures of sport fishing in salt and freshwater areas across America. The White House created an Interagency Oceans Policy Task Force in June and gave them only 90 days to develop a comprehensive federal policy for all U.S. coastal, ocean and Great Lakes waters. Under the guise of ‘protecting’ these areas, the current second phase of the Task Force direction is to develop zoning which may permanently close vast areas of fishing waters nationwide. This is to be completed by December 9, 2009. Recreational fishing generates a $125 billion annual economy in the United States and supports jobs in every state according to government figures. Through the Sport Fish Restoration program, anglers have provided more than $5 billion through excise taxes on fishing tackle to fishery conservation and education for decades. In addition to the economic aspects, anglers lead the nation in volunteer conservation efforts on behalf of improving fish habitat, water quality and related environmental areas. “There was no mention of the fishery conservation efforts which anglers have led for over 50 years in every state – an environmental success story that has no equal in the world”, said Phil Morlock, Director, Environmental Affairs for Shimano. “The Task Force did not make any distinction between the dramatic differences between harmful commercial fishing harvest methods and recreational fishing, even though we spelled it out for them in detail,” added Morlock. The original White House memo and not surprisingly the Task Force report contains multiple references to developing a national policy where Great Lakes and coastal regions are managed, “consistent with international law, including customary international law as reflected in the 1982 United Nations Convention on the Law of the Sea” - a 300-page treaty the U.S. has never ratified. “We question what implications there will be for state authority and jurisdiction in the Great Lakes and coastal regions if the U.S. adopts the U.N. Treaty,” said Pfeiffer. The report makes it clear that future authority for implementing the policy for coastal and inland waters will fall under White House jurisdiction with a new National Ocean Council comprised of over 20 federal agencies at Cabinet Secretary or Deputy Secretary level. No reference to Congressional jurisdiction is indicated. “This significant change in U.S. policy direction is the result of a 90-day fire drill process as ordered by the President that, not surprisingly, lacks balance, clarity and quality in the end product,” said Morlock. “People who simply want to take their kids fishing on public waters deserve better from their government,” he added. Shimano is joining with other members of the recreational fishing industry to urge anglers to contact their members of Congress and the administration to request this process be required to adopt the economic, conservation and social contributions of recreational fishing as key elements of the policy. It is critical that we ensure Congressional oversight and state jurisdiction and management continues. E-letters can be sent to the administration and members of Congress by visiting KeepAmericaFishing.org. The future of fishing is in your hands. Editor’s Note: Phil Morlock is attending Congressional Sportsmen’s Caucus functions this week in Washington, DC, but will make himself available for questions, interviews on this. Contact John Mazurkiewicz with Catalyst Marketing for arrangements. The picture above depicts Jessica Dennis receiving the very first consolidated Merchant Mariner Credential. This was back in May of '09. The new credential, if you haven't already seen it, is like a passport. It contains all your licenses, endorsements, qualifications, waivers, limitations, etc. Any additional endorsements will be added in the form of a sticker. Like your original license, it's good for five years. The new credential takes the place of the previous four, seperate USCG documents: Merchant Mariner Document, Merchant Marine License, Certificate of Registry, STCW Certificate. When I needed to renew my captain's license, which was up this year, I was advised to apply for my MMD (AB-Unl.) at the same time, even though my MMD still had four years left to go to its expiration date. Putting all your licenses together on one credential and having them set to expire at the same time saves quite a bit of money, and not just in license fees. Don't forget, each renewal requires a new physical and a new drug test (or proof of enrollment in a random drug pool). Anyway, as I understand it, you must carry the new license with you, and also keep your paper captain's license with you, even though the latter has expired. In fact, I think the expired paper license is still suppose to be posted on your vessel. I enjoy the Working Waterfront but sometimes I think they take advocacy too far. For example, sometimes their articles suggest that islanders are a completely different species of human and that this distinction entitles them to special privileges. It’s like they’re writing about the indigenous tribes of the Amazon. Let’s take the recent article on Ethanol. They act as if we on the mainland have different Ethanol concerns than those who live on the islands. Moreover, I hardly think they can compare the fuel requirements and idiosyncrasies of an airplane to those of a lawn mower. Also, I should point out . . . water isn’t the worst problem of phase separation. You can get rid of the water by draining, filtering or siphoning it out. The big problem is that once the Ethanol goes through phase separation, the fuel’s overall octane rating drops below a functional minimum. Best thing to do is keep fuel tanks and fuel cans full. If this isn’t possible, simply transfer unused fuel from a large storage container to a smaller one. How hard is that? Speaking of which, according to most accounts, the boiler didn’t actually blow in the Royal Tar. The engineer lit the firebox not realizing the boiler had been drained the night before. The boiler became red hot and set fire to the ship. Last but not least on the subject, the paper mentioned Van Dusen’s adherence to the truth in his artistic depictions of the event. 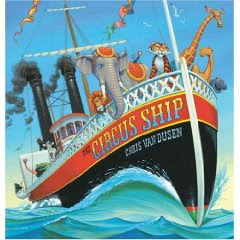 I would like to add that his whimsical drawings of The Circus Ship seem to capture the magic of sea and boats. The third article that caught my attention was on the Maine Lobster Task Force: You mean to tell me that after all this time and money the best they could come up with is a plan to spend more money on advertising and create what is essentially another task force? And why would we want to get into a shooting match with the Canadians over product quality? Do we really think we can convince the public there’s a difference between a Canadian lobster and a Maine lobster? The lobster task force should analyze what other states and even other countries do to advertise and promote their natural resources; pick the best of the best of these methods and implement them here. It would also help if the state provided a directory of industry services and resources, including names and contact information for Maine fishermen who want to participate. Perhaps a direct link between fishermen and public will open up new sources of revenue. Meanwhile, what’s presently killing a fisherman’s bottom line is the simple fact that a pound of lobster is worth less than a gallon of diesel fuel. I don’t have an answer but I don’t think anything will can change until this ratio changes. Clearly, selling more lobster isn’t the solution. The Daily Mail has an article about the growing number of cargo-less ships waiting for orders off the coast of Malaysia. You can find the article and some great photos here. This isn't breaking news or anything, and the article has a doomsday slant to it. Still, it's worth a look. Last time I dropped anchor someplace I was the only one there. A fisherman in Cape Cod was fined $500 for freeing a whale by himself. According to authorities he violated The Marine Mammal Protection Act by not contacting "Official" disentanglers. He had faced much more serious punishment. I'm not sure what whale protectionists and our government hope to gain by prosecuting good samaritans but if their intent is to antagonize commercial fishermen and other professional mariners then they are succeeding magnificently. When scientists and government conspire against logic and common sense they enter the realm of absurdism.